To give you that extra edge, we can provide specialised frames, lenses and sports sunglasses for football, tennis, squash, cricket, cycling, swimming, shooting, archery, golf, snooker and motor cycling, amongst others. We supply sports glasses from Adidas, Oakley, Bolle and also have a budget non-branded range. Specialised tints in spectacles can greatly enhance vision. And, if you prefer contact lenses, we can advise on the most suitable contact lenses for your sport. Lens materials such as poly carbonates and other new frame materials can also provide substantial protection from injury. 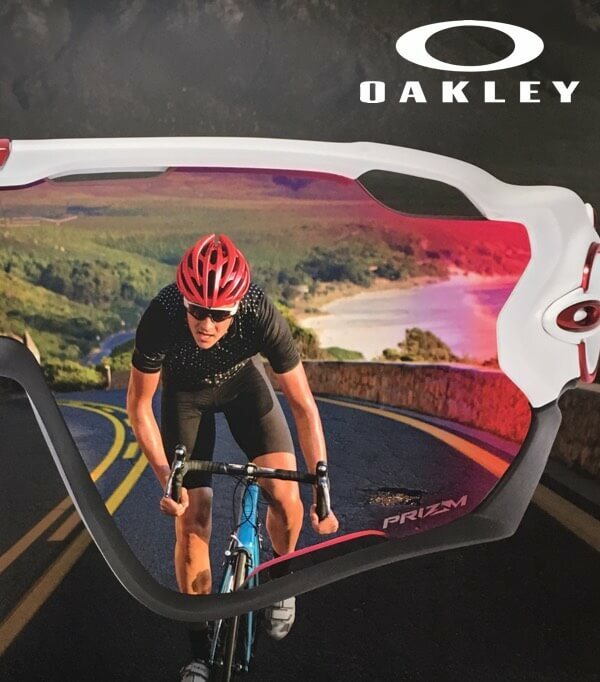 We can provide branded and non-branded cycling glasses with or without prescriptions. We also supply shooting glasses for clay and rifle shooting to local clubs. Lenses made from poly carbonates and robust frames are particularly important for children or anyone who plays sports involving balls and projectiles. That’s why we now offer you a range of specialised children’s sports glasses for rugby, football, hockey and racquet sports.